BATTLE GROUND — The Navigators are nearing the end of the road. 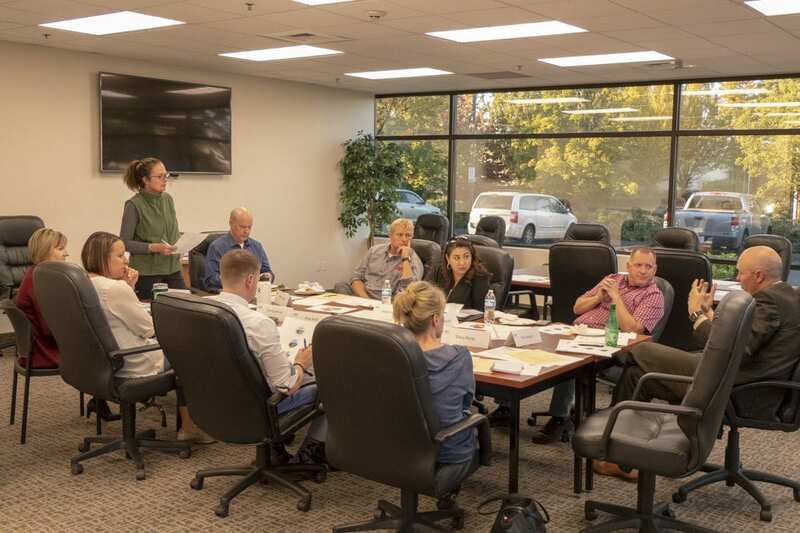 The group charged with helping the city of Battle Ground chart a course into the future held its second-to-last meeting this week, largely to finalize plans for a public open house November 8. It will be the first chance for the public to get a glimpse of, and provide feedback on, the city’s roadmap project. The second most favorite option was “Family Friendly Enclave” with 23 percent of the vote, followed by “Gateway to Outdoor Adventure at 12 percent. “Future Forward” and “None of the Above” pulled in 9 and 4 percent respectively. As part of the visioning process, the 12 volunteer Navigators are taking that public feedback and working on a list of priorities for the city to focus on. Those could include establishing neighborhood districts, helping schools to be more successful, focusing on interconnected trails and more green spaces, pushing for more activity centers such as an expanded community center and/or bringing a YMCA to Battle Ground, continued revitalization of Old Town along Main Street, and working with the school district to potentially move the high school in order to bring added redevelopment to the center of town. At their meeting on Tuesday the Navigators acknowledged that the survey results clearly favored outdoor recreation and family-friendly development. But the group also noted that younger respondents tended to vote more in favor of high tech development. The open house at the Battle Ground Community Center will allow attendees to mark on a map where in the city they live, and give feedback about how they would like to see Battle Ground focus its growth, and what potential development areas they see as most important. The Navigators group also took turns drawing districts on a map of the city and the surrounding area, with most choosing to focus commercial growth along the newly-expanded Highway 502 west of downtown, retail growth in the area along SR-503 near the Wal-Mart, tech job growth where it is already going near Battle Ground Village, new residential and retail development on the high school property, and more residential growth on the north side of town. The Navigators will meet one more time after the November 8 open house, and then make a presentation to Battle Ground city council. 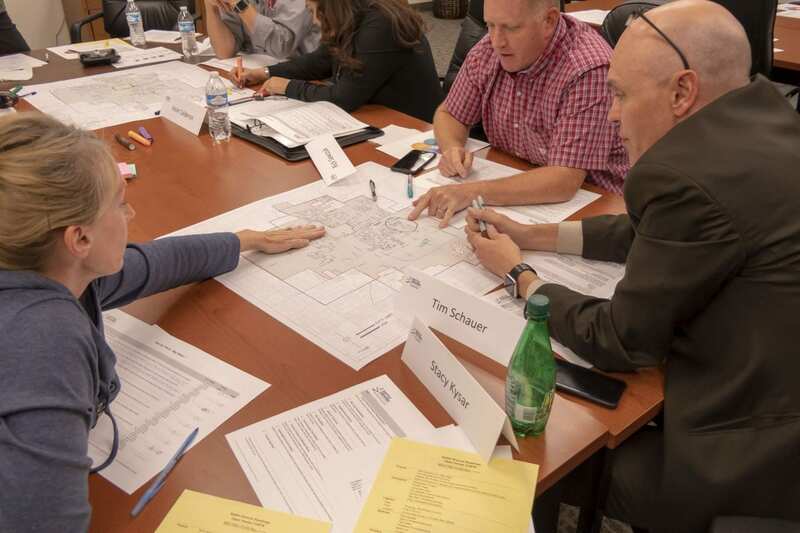 While any resolution adopted from the roadmap won’t be binding, Mayor Mike Dalesandro said he hopes it will guide city policy around growth, transportation, and public safety.